After being fired in 1978 from a home improvement store, Marcus wasted no time in launching an idea for a new retail model. 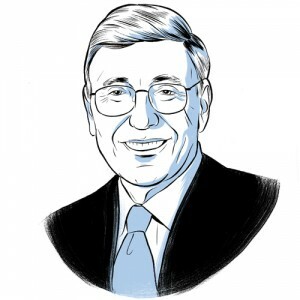 Over the following decades, he and business partner Arthur Blank expanded the Home Depot to more than 1,800 stores in all 50 states. A self-made billionaire—$4.1 billion, for those counting—Marcus ranks 33 notches above Steven Spielberg on the most recent Forbes 400 list. That’s even after giving away more than a quarter of his wealth: He founded the Marcus Autism Center, which treats children afflicted with brain illnesses, and donated $250 million to build the Georgia Aquarium.